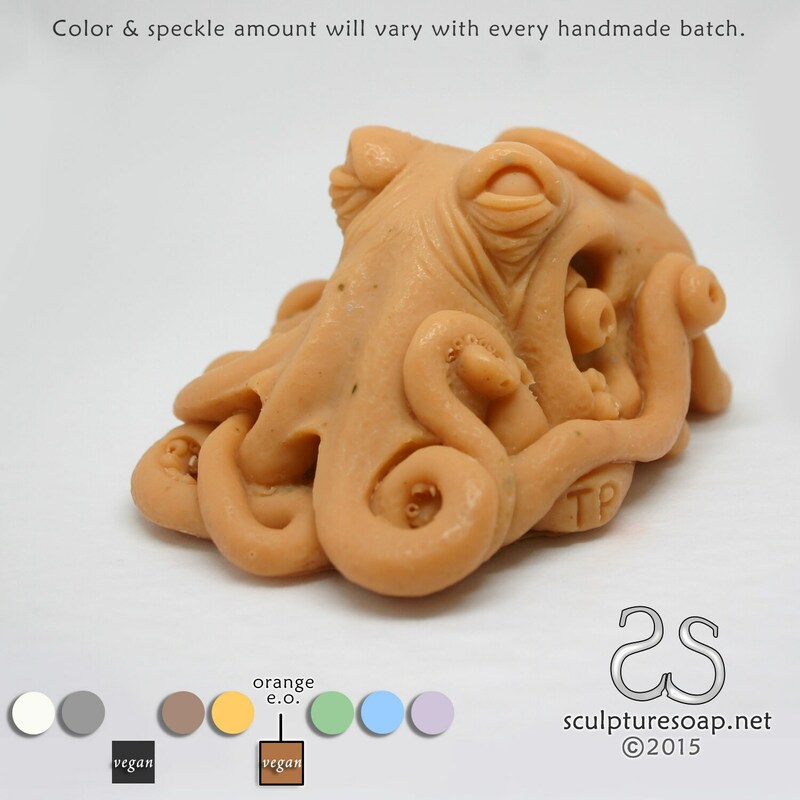 Favored by divers, islanders and boat owners, this Octopus Soap is all tentacles. It will sit patiently on a counter top awaiting your attention with a stare. Please read my full product description before ordering. 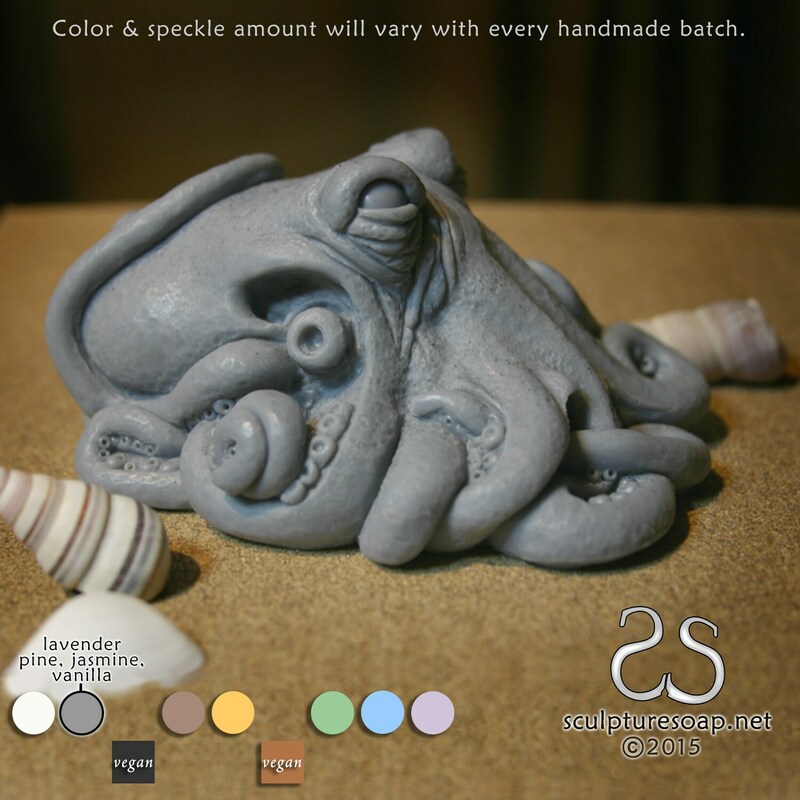 For one of a kind experiences, all of our designs are exclusively handmade and sold by Sculpturesoap. 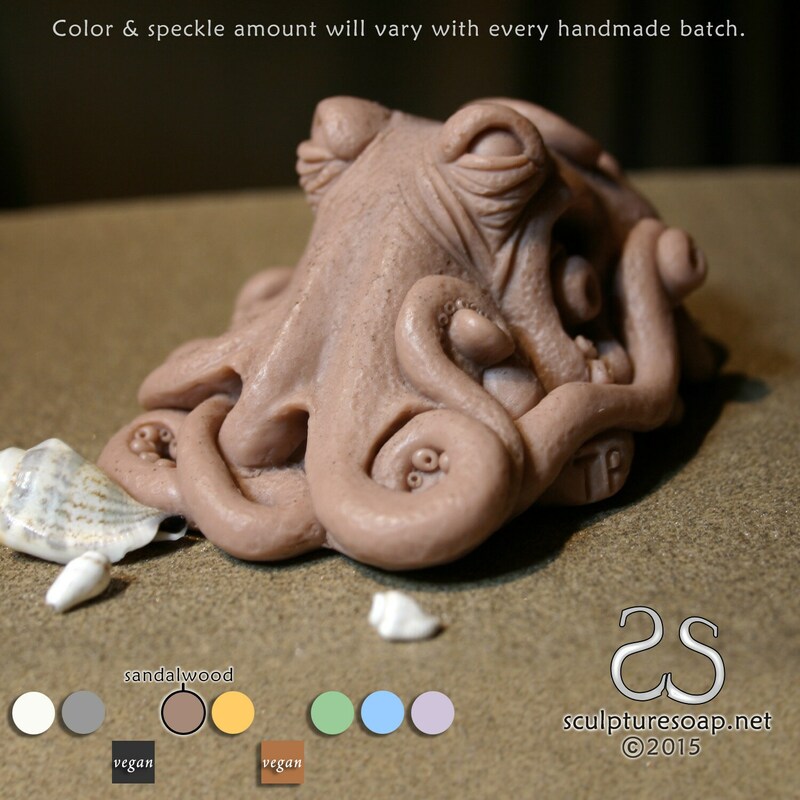 My creative process begins with a pencil sketch and the design is refined in clay during the modeling phase. 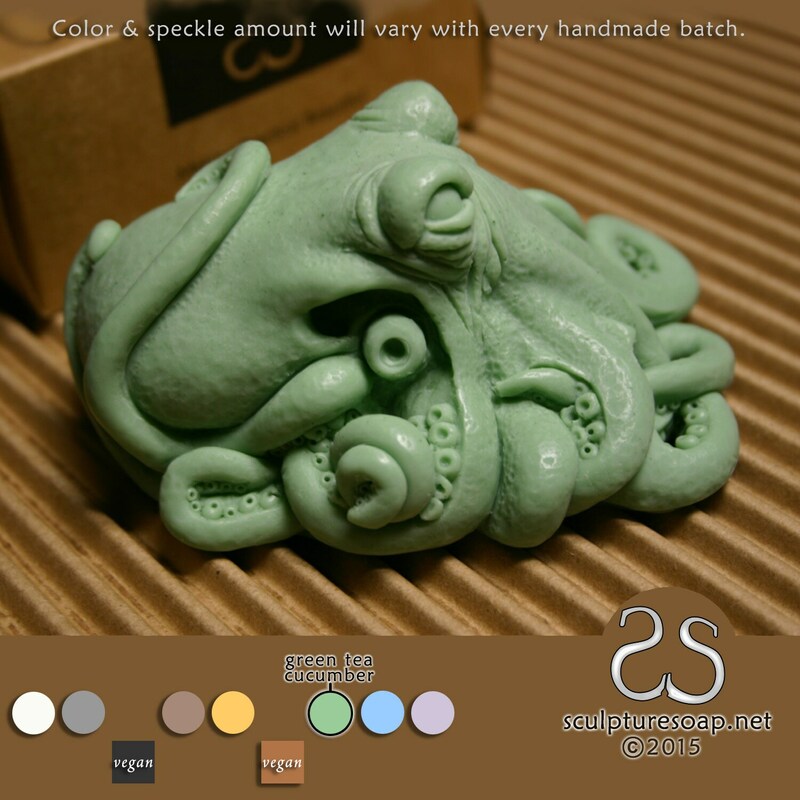 The final soap product faithfully captures the subtlest impressions of the original sculpture. 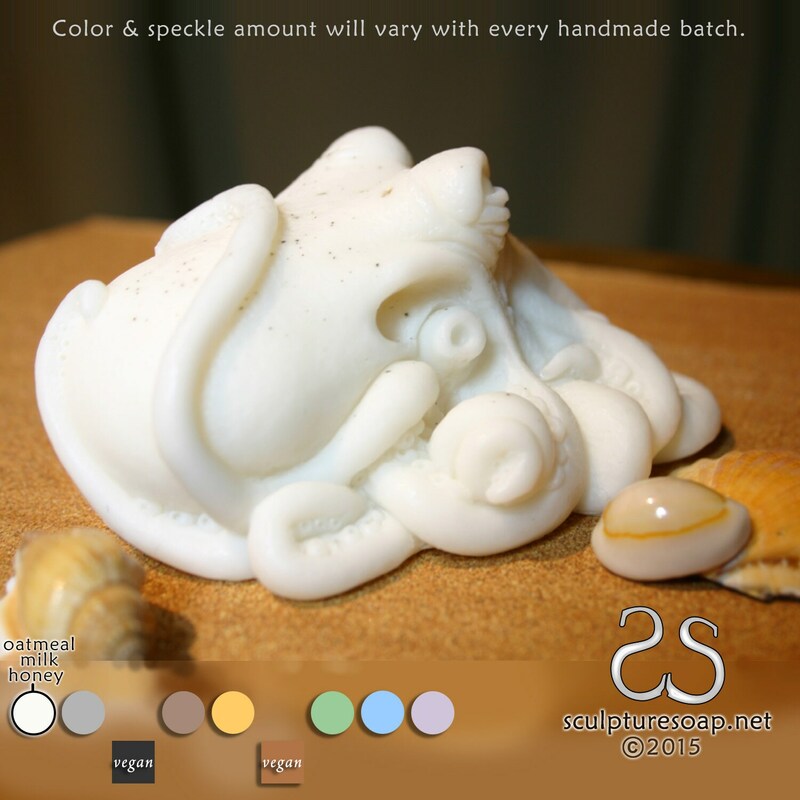 Sculpturesoaps are made to delight, perform great, and to last. 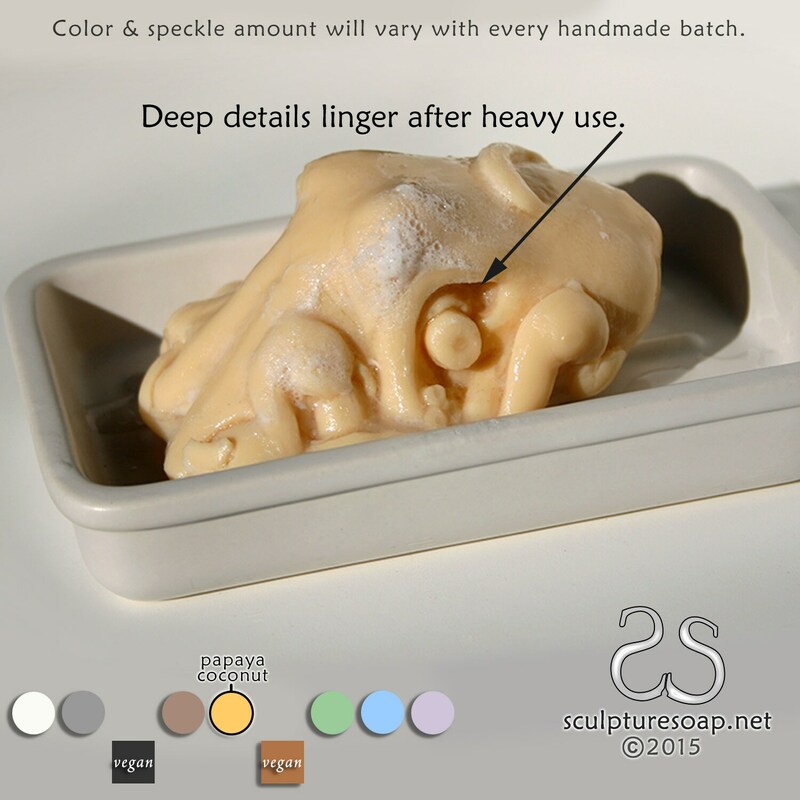 Although use is always optional, the deep details in the sculpt linger after multiple uses. 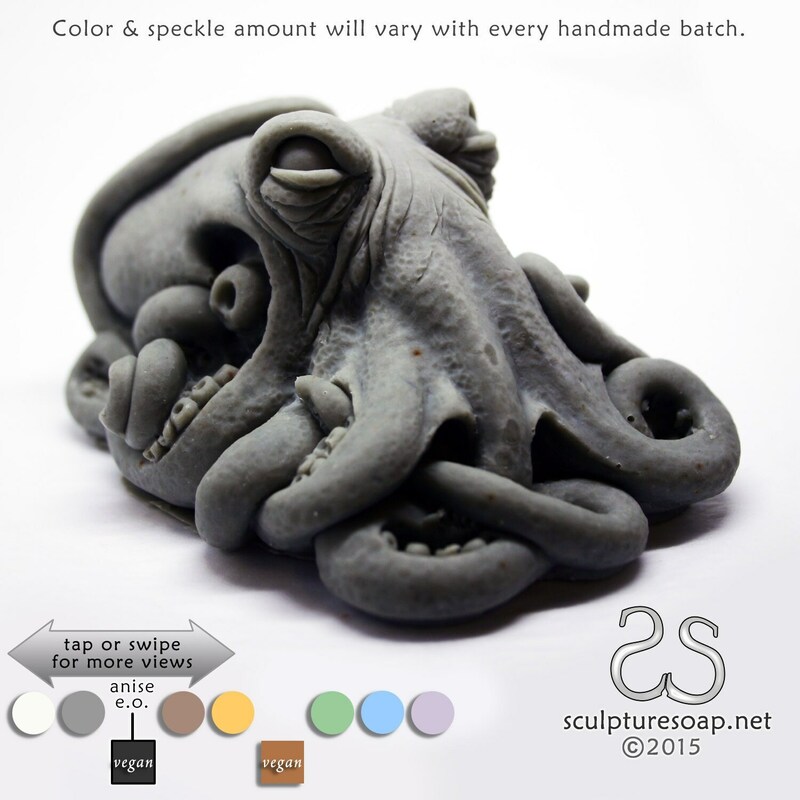 If it is to be enjoyed instead as a decorative element, a Sculpturesoap has a long shelf-life of 3+ years. 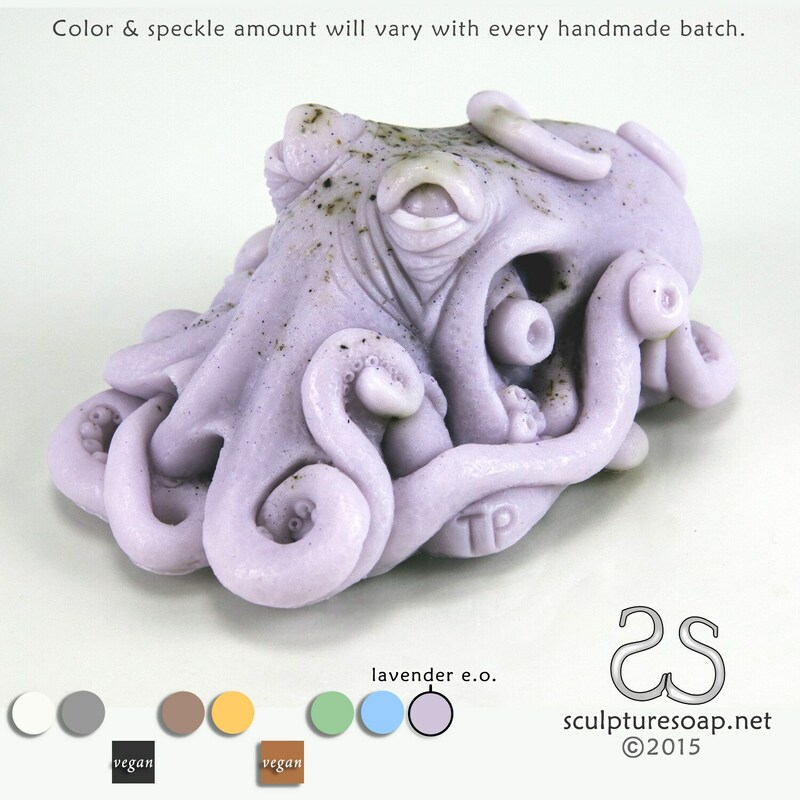 Every design is available in up to a dozen color and scent combinations. For a full list, see below. Due to the handmade nature of each piece, slight variations in size, shape, edge detail, color and speckles are to be expected and celebrated. Each item is unique and no two are exactly the same.